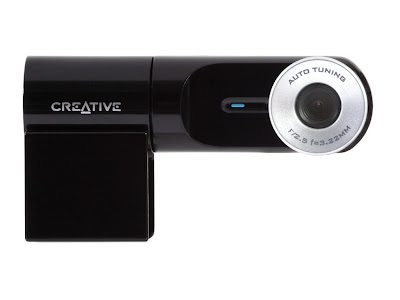 This Creative's webcam is a budget version of Live! Cam Notebook Ultra with lesser features and certified for Windows Vista. But it still has the basic feature of a built-in microphone and a 800 x 6001 video resolution, you can start video conversations with anyone straightaway without any hassle. Capture stills of up to 1.3 megapixels1 and no matter how you mount or twist the Live! Cam Notebook Pro's 240º swivel design, your image will be flipped or rotated back upright automatically.